Jack Padalino has been birdwatching for over 50 years. One day spent birding with Jack can be an adventure opening up worlds most of us never, ever see. 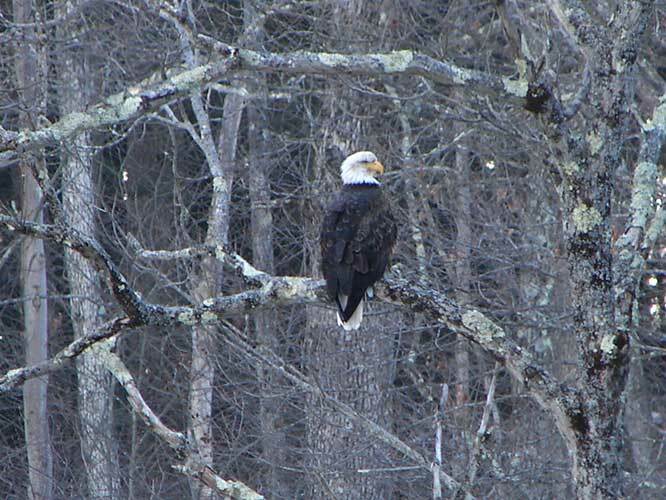 Over this past winter, there have been opportunities for Manhattanites to leave town and drive northwest to the point where New York, New Jersey and Pennsylvania meet and go birdwatching, searching for eagles and other birds. Mr. Padalino, president emeritus of Pocono Environmental Education Center and of the Brandwein Institute, a partner with the National Park Service, leads the search. We asked Mr. Padalino about his experiences studying eagles for half a century. He continues, “Nesting eagles have become acclimated to humans. I have been monitoring eagle nests in the area for decades, a number of them are constructed right next to houses. One in particular was within 10 yards of the west bound lane of I 84. It was successful for 7 years until a severe wind crashed the nest to the ground; however, I still see eagles as well as Common Ravens in that area. The nest on Mott Street in Milford, Pennsylvania was a case history. I watched it for three years, as young fledged from the nest. The nest was so huge it crashed to the ground. No sooner had that happened, the birds constructed another nest on the other side of the Sawkill Creek closer to a residence. “Migrating birds, those who move south for the winter may be stressed by people eager to get close to them, particularly photographers. These birds need to conserve their energy, especially when it’s cold. While no longer on the endangered list; however, they may still be threatened. 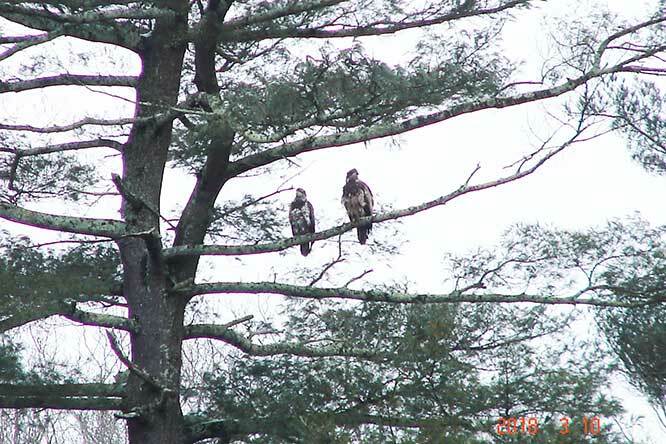 He describes the adventures witnessed while birding, ” Story: I, I was driving the Pocono Environmental Education Center bus traveling north on Route 209 with with dozen people on a search. As we approach Zimmerman Flats a juvenile Golden Eagle launched from atop a Red Cedar, crossed in front of the bus, and tried to capture one of the Wild Turkeys moving through the woods to our left. We watched for a few minutes as the eagle tried to navigate through the woods pursuing the Turkeys without success. The participants cheered. 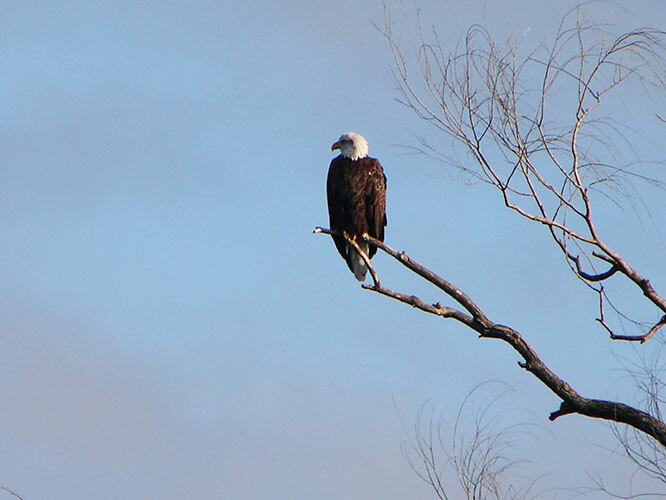 The “Search for Eagles” field trips take place from December through March. The next one won’t be until the first Sunday in December 2019.